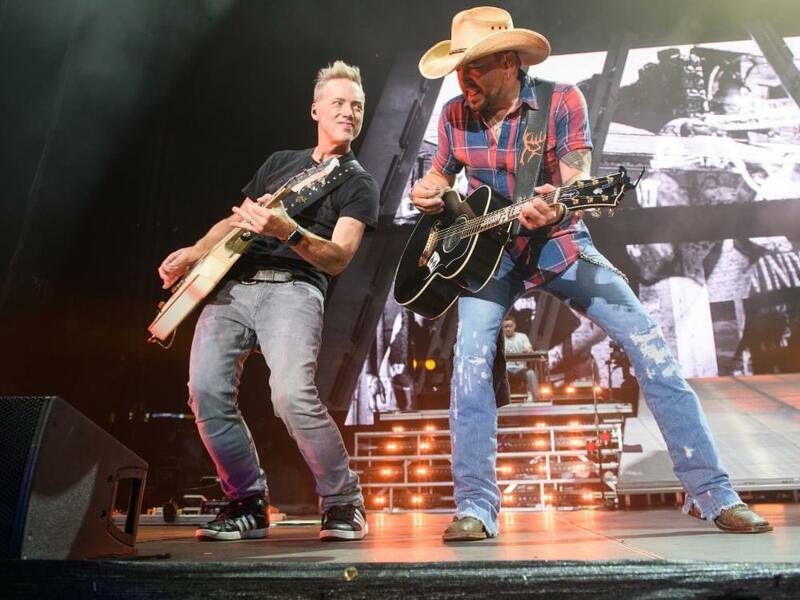 Three-time ACM Entertainer of the Year Jason Aldean returned to his home state of Georgia on July 21 for a sold-out show at the Atlanta Braves’ new SunTrust Park Stadium. With direct support from Luke Combs and Lauren Alaina, as well as a reunited Hootie & the Blowfish, Jason treated the 37,935 fans to a number of his hits, including “Gettin’ Warmed Up,” “They Don’t Know,” “A Little More Sunshine,” ‘Any Ol’ Barstool,” “Tattoos on This Town” and more. Jason’s High Noon Neon Tour continues this week with Lauren and Luke as it makes stops in Tuscaloosa, Ala. (7/25), Orange Beach, Ala. (7/26), Brandon, Miss. (7/27) and Dallas (7/28). Watch the sizzle reel recap of Jason’s Atlanta concert below, courtesy of Strange Bird Media/Weston Heflin.